[Abi Auer | Banner] Isalei Tauaese, senior kinesiology major and midfielder, defends the ball Sept. 3 against Madison Aguirre of California State University, Monterey Bay. The Lancers were not able to overcome the Sea Otters and fell 0-1. The team is now 0-2 in play and will take on California State University, San Marcos, on the road Sept. 10. 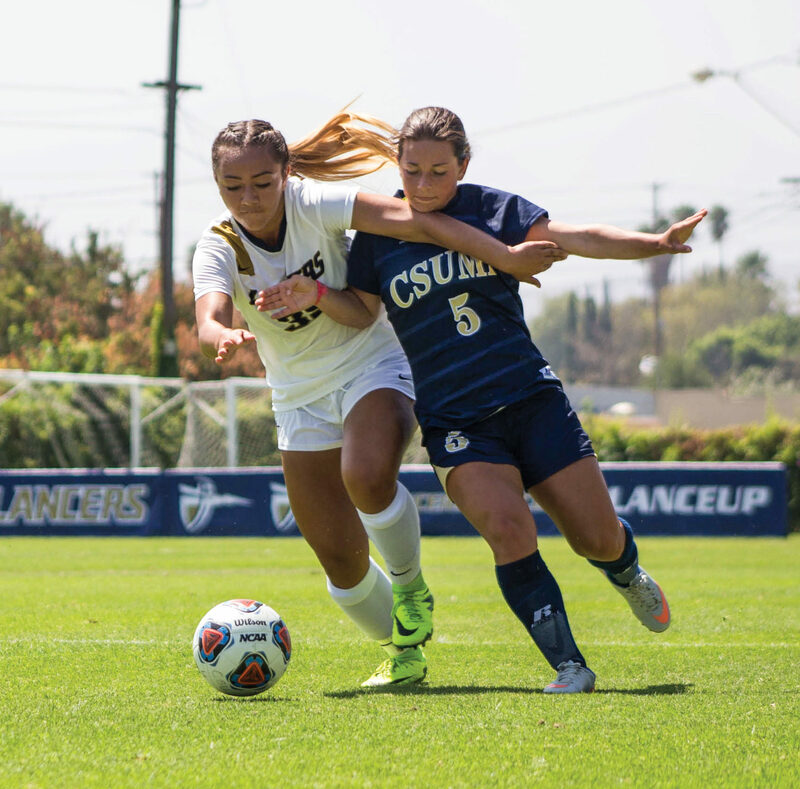 The California Baptist University women’s soccer team had a rough start to the season Sept. 1 in a double overtime 2-1 loss at home against California State University, Chico. They also suffered another loss against California State University, Monterey Bay, coming up short 1-0. The team is looking to improve from a 9-7-2 record from last season. During the summer, the team found itself victorious with wins over University of Redlands and California State University, San Bernardino. Chaylin Couzens, senior exercise science major and midfielder and forward, said she hopes the team does really well this season. Couzens also said the two preseason scrimmage games helped the team boost their confidence going into facing Chico State. Couzens said the game against Chico State was a test to see how passionate the team was together. Riley Phillips, junior communication disorders major and defender, said she has high expectations not only for herself, but for the rest of her team, as well. Phillips also said the first two games made a small scar for the team. The team will be in action at home again Sept. 22 at 3 p.m.